The two Democrats vying to challenge incumbent Republican U.S. Rep. Scott Tipton in the sprawling 3rd Congressional District, which includes a big chunk of Eagle County, this week stepped up their campaigns to land the Democratic nod in the Tuesday, June 26 primary election. 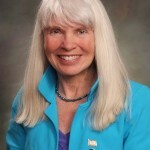 Former Routt County commissioner and state Rep. Diane Mitsch Bush landed a key endorsement from former U.S. senator and Secretary of the Interior Ken Salazar, whose brother John was the last Democrat to represent CD3 before being ousted by Tipton in the 2010 Tea Party wave (see press release below). And Carbondale rancher and Glenwood Springs municipal and water attorney Karl Hanlon announced his Topple Tipton Tour kicking off March 31 (press release below). STEAMBOAT SPRINGS — Citing her “broad appeal” and “legislative experience,” Ken Salazar has endorsed Diane Mitsch Bush in the race to unseat Scott Tipton in Colorado’s 3rd Congressional District (CD3). The race in CD3 against Tipton has been deemed “competitive” by the Democratic Congressional Campaign Committee and has become a race to watch, nationwide. 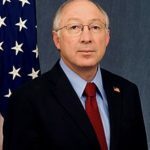 Just this week the Mitsch Bush Campaign announced some impressive endorsements including Betsy Markey, Adrienne Benavidez, Daneya Esgar, and Ken Salazar. Salazar served as the 50th Secretary of the Interior in the Obama Administration from 2009 – 2013 and he previously served as a U.S. Senator from Colorado. His brother, John Salazar, was the last Democrat to represent CD3. Secretary Salazar and Mitsch Bush met just over 10 years ago when she ran and won her first campaign to be a Routt County Commissioner. Salazar weighed a number of factors when considering his endorsement. After a crushing loss in CD3 in 2016, electability and experience were at the forefront of his decision. The endorsement comes during the County Assembly process. GLENWOOD SPRINGS, Colo. – March 21, 2018 – Karl Hanlon, candidate for Colorado’s 3rd Congressional District, is kicking-off a 29-county tour of the district in just 14 days leading to the Colorado Democrat’s state assembly on Friday, April 13 in Broomfield. 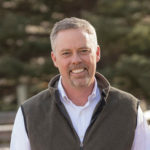 Karl Hanlon grew up in a ranching family raising cattle along the border of southern Wyoming and Jackson County, Colo., at the most northeastern tip of the 3rd Congressional District. Karl’s parents were children of the Great Depression who came of age fighting in WWII and working in factories. They raised children who were not only daily acquainted with the hard work of ranching in the West, but were taught the value of good education. Karl’s sister, Anne, runs the ranch today, while Karl became a first-generation college student, putting himself through university and law school to practice water law on the Western Slope. After receiving his undergraduate degree at the University of Wyoming, Karl spent four years as a seasonal park ranger for the Colorado Division of Parks. He also attended the Police Academy in Rangely, becoming a POST-certified peace officer in Colorado. As challenging and rewarding as that was, Karl knew he wanted to find a way to make a bigger impact, and decided to apply to law school. Karl was accepted to the Northwestern School of Law at Lewis and Clark College in Portland, Oregon. He graduated with a law degree, an environmental certificate, and a burning desire to get back home to Colorado. He knew that water would be a key issue in the state’s future, and chose Glenwood Springs as the place to practice water law.